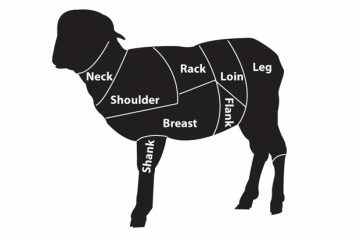 How To Cook A Lamb Chop: Let Me Count The Ways! Lamb chops come from either the rib, loin or shoulder of the lamb. At Valensbrae Farm, we choose to keep the shoulder for our famous stew recipes and leave the rib and loin chops for grilling, broiling or frying. Rib Chops are the perfect presentation chop. Cut from the center of the lamb, they look like a lollipop with a long rib bone for the stick. Loin chops look more like a T-bone steak and are a little meatier than rib chops – making them the better choice for hearty appetites. Regardless of the type of chop, keeping them a little thicker (around 1.5 inches) is ideal and makes cooking – especially for beginners – a little easier. These tips for broiling or pan frying your chops are courtesy of the Canadian Sheep Federation. Unless you marinated your chops, sprinkle them with your favourite spice and then brush with olive oil or a blend of salad oil and butter. Place chops 4 inches from the broiler and leave the oven door ajar. Rare: broil 8 minutes then turn for 1 minute. Medium: broil 14 minutes, turn for 2 minutes. Well done chops will take 18 minutes on one side, 2 minutes on the other. If you prefer your chops browned, place them 2” from direct heat during the last 2 minutes of cooking before turning. 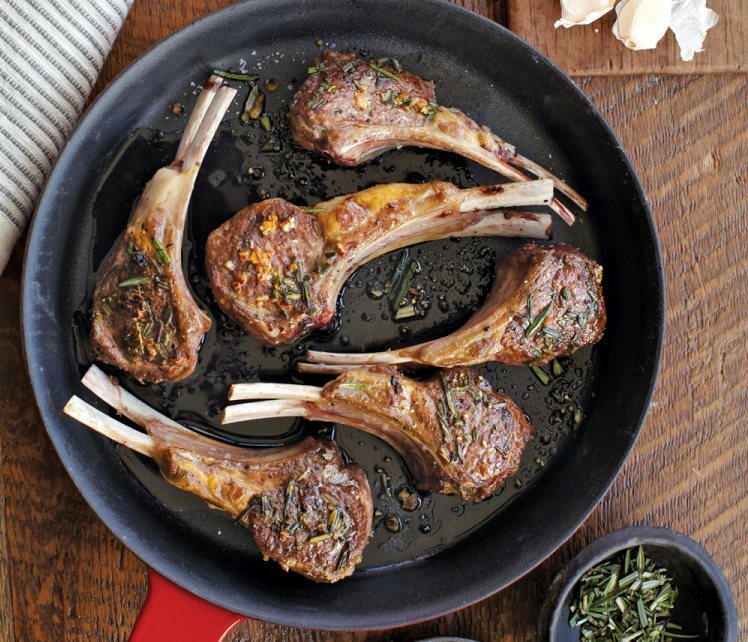 Melt 1T of the lamb chop fat in a frying pan or substitute 1T of salad oil, or half oil, half butter. Place chops in the hot fat and cook 4-5 minutes over medium high heat. Turn them over and set to high heat for the duration of cooking. Careful not to burn them. Place a square of newspaper in the bottom of a cast iron frying pan and heat until the paper starts to brown. Remove and place chops next to one another without overlapping. Cover the pan and cook the chops 3 minutes over high heat, turn and cook uncovered 4 – 5 minutes on medium heat. Cooking times needs to be adjusted according to your preferences and the thickness of the chop. Season with salt and pepper before serving. « Previous Article Time For Kindergarten Registration!